What is property fraud, and should I be concerned? Property fraud, also known as deed fraud or “house-stealing,” is a fast-growing white-collar crime in the United States. This type of fraud can go undetected and can cause an array of issues, including the unlawful transfer of ownership of property. For example, property fraud can occur if someone forges your identity and transfers your property into their name and records a document in the Official Records. This fraudulent activity can make it appear as if that person owns your home or property, and you may have no idea that it happened! It sounds absurd, but unfortunately this type of fraud happens. Your local County Clerk or Comptroller who records Official Records does not judge the accuracy or validity of a document. As long as a document is properly filed, and the proper fees are paid, a document can be entered into the Official Records, even if it is fraudulent. The filing of fraudulent deeds has become such a problem that multiple counties throughout the state of Florida are now offering free services to alert a property owner of any change in the Official Records regarding their property. For example, the Orange County Comptroller’s Office is now offering a free notification service that alerts subscribers when a document is recorded with a registered name on it. The alert system allows individuals to be informed of any official record activity taking place with that registered name. Unfortunately, the alert system does not stop the fraudulent activity, but it allows timely action against any improper activity. Anyone can fall victim to crimes associated with property fraud, so what can you do to protect your property from property fraud? Check the Official Records for any deeds, mortgages, or liens on your property and make sure they are accurate. 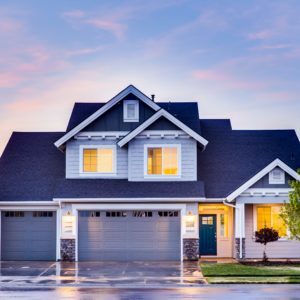 If your property is unoccupied or you go out of town for a length of time, make sure your mail is not piling up and there are no obvious signs of neglect. Check to see if your county is offering a property fraud alert system! In Orange County you can sign up for the free service at www.PropertyFraudAlert.com. If you think you may be a victim of property fraud make sure you act quickly! In Orange County you can contact the Orange County Sheriff’s Office Economic Crimes unit, the Property Appraiser, and the Tax Collector to alert them of the fraudulent activity.